Anika put together a great workshop for the September 08 meeting of the New York chapter at Etsy Labs. 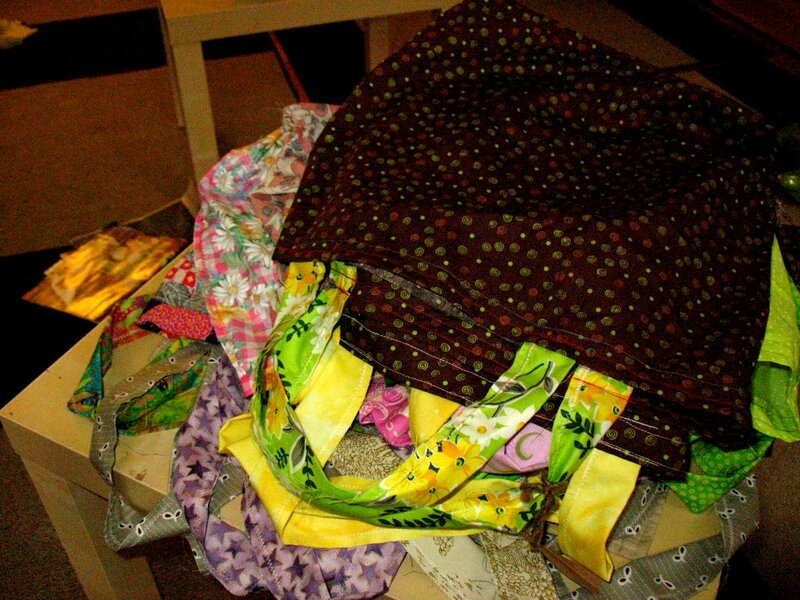 With help with materials from City Quilter, The meeting started 40 bags for the Green Bag Lady project, and finished 18! A pile of Green Bags! This entry was written by tvecallie, posted on October 2, 2008 at 7:41 am, filed under New York. Bookmark the permalink. Follow any comments here with the RSS feed for this post. Post a comment or leave a trackback: Trackback URL.